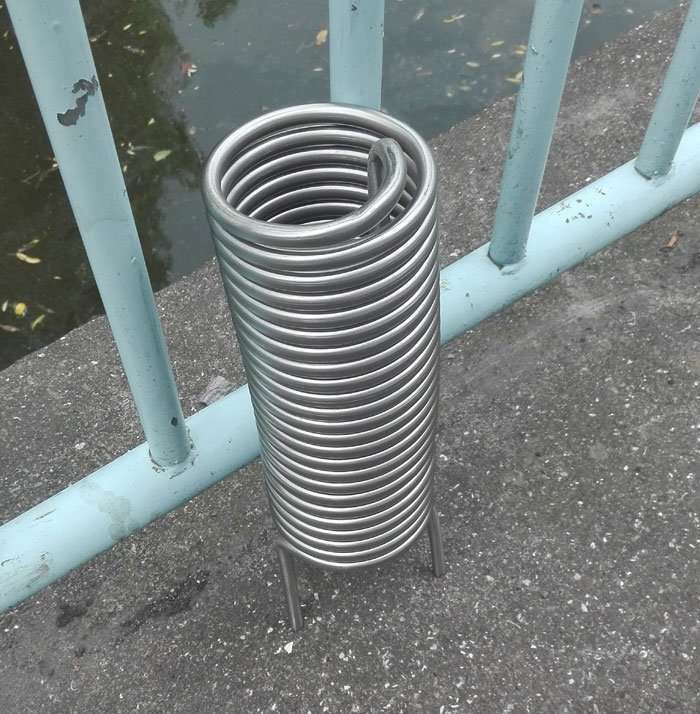 Short Description: Stainless steel Coil tube type heat exchanger,also called Stainless steel Spiral heat exchanger, is a serpentine heat exchanger, typically consists by a Stainless steel tube which is bent as needed into a desired shape, such as circular, spiral, and the long serpentine. It was the first appearance of a heat transfer equipment, simple structure, easy operation.The main advantage is very high heat exchanging efficient,no leakage and stand high pressure. 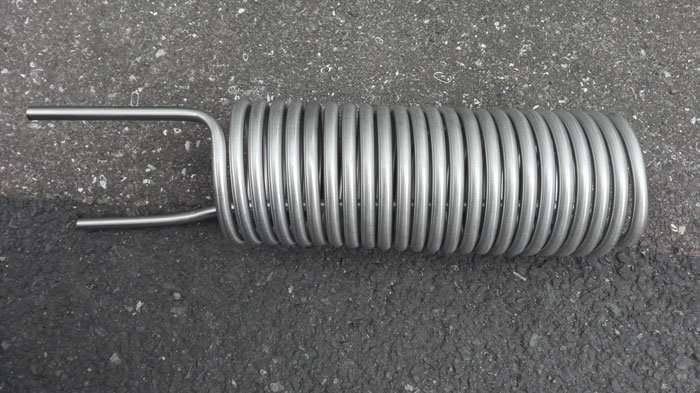 Usually used as immersion heat exchanger. 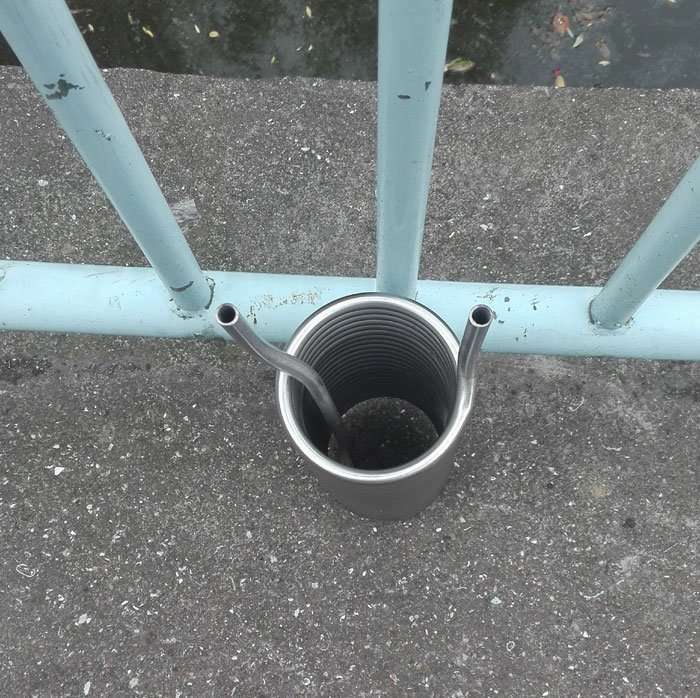 Feature:inlet and outlet at same end. 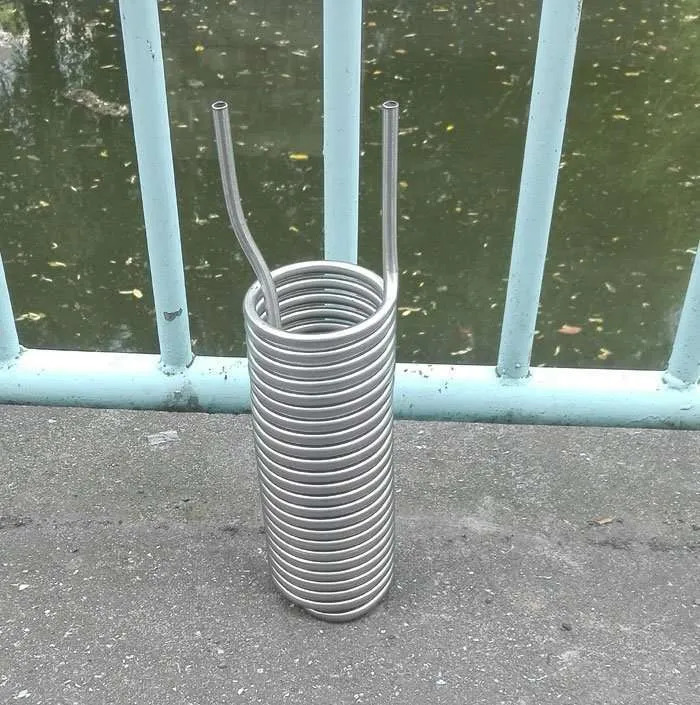 √ The heat exchanger is made from seamless SS tube grade 304,316,316l,the tube can stand high pressure. √ Our equipment machine can help you to fabricate any grade stainless steel tube into any the designed shape and required dimension. √ If you need,we can process the tube surface with polished technology . √ The coil reached food grade standards. √ Smooth inner surface and the refrigerant or water can circulate flowing in the coil,small pressure-drop. √ The material has good performance of resistant to corrosion. 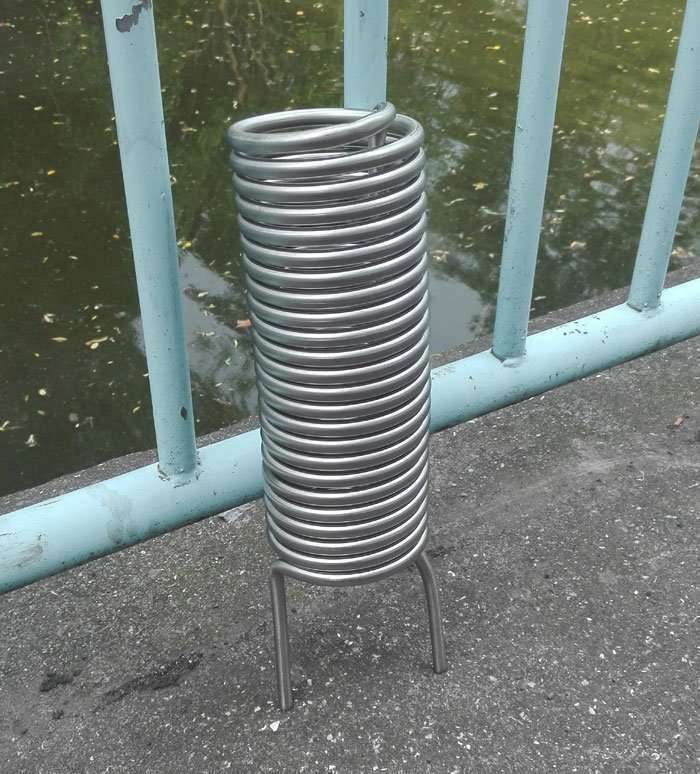 Stainless steel heat exchanger have many advantages ,such as strong pressure ,stability material properties ,good performance of resistant to corrosion,advanced heat transfer efficiency ,and it wouldn’t contaminate medium or without refrigerant leakage . The material has good mechanical properties and good hot work ability for stamping and bending ,no heating treatment hardening. Also available on Aluminium Tube or copper Tube. All items are performed full testing(leakage and pressure) before delivery. This product is customed item.It is widely used for refrigeration industries,such as plating,oxidation,chemical industry,metallurgy,light industry,shipbuilding,heating, heat pump system,pharmaceutical,foodstuff ect, also for leather chiller, injection molding machine chiller, print chiller,PV shoe machine chiller and so on. 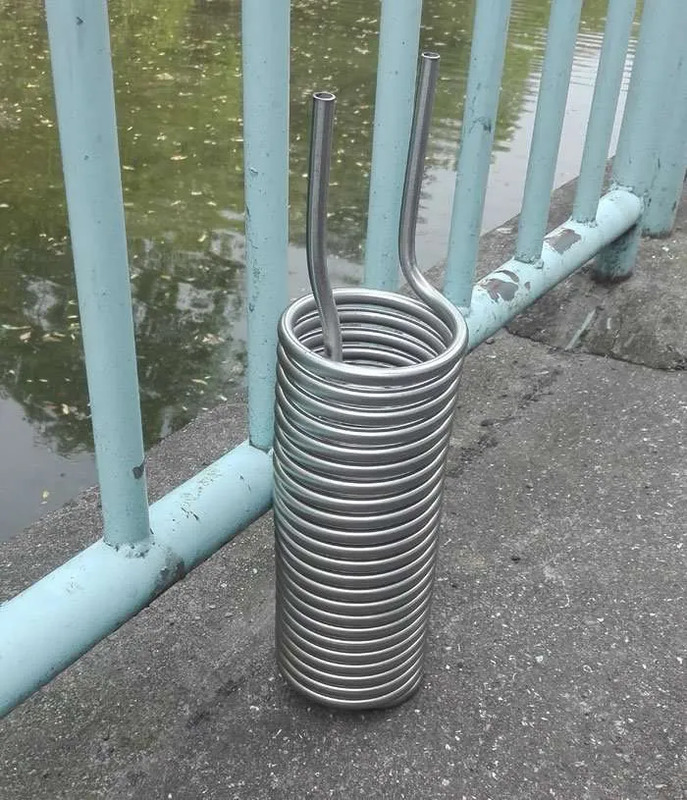 The below photo shows a coil with dia.100mm,coil height 300mm,inlet and outlet straight pipe 100mm,made from stainless steel grade 304,specification 10x1mm.We can custom to do the coil according to your coil size. More types of Heat Exchanger are not displayed on the web.If the item above doesn`t meet your requirement,please contact us to email: heating@smartclima.com ,we can supply a favourite item you need.